We strongly advise that your swimming pool boiler is regularly maintained and has an annual service carried out by a qualified engineer to maintain a safe, healthy and pleasant swimming environment. Whether it is brand new boiler, a complete pump room build or refurbishment, we aim to offer you a quality and cost-effective package. We will sell and install the correct boiler for your needs. Do not believe the myth that ‘bigger is always better’. Our experienced and skilled engineers will guide and advise to make the best decision for you. 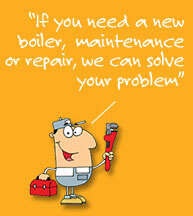 Boiler manufacturers will recommend an annual service as this usually forms part of their guarantee. For our part an annual service, in all probability, will save you money as a faulty or badly maintained boiler will cost you more to run. If you have had a regular annual service then hopefully you will not be looking at a repair, but if you do, then we will be efficient and prompt in remedying the problem. We can advise you on how to keep your boiler healthy during the winter months and how to protect it during the frost and sub zero temperatures.